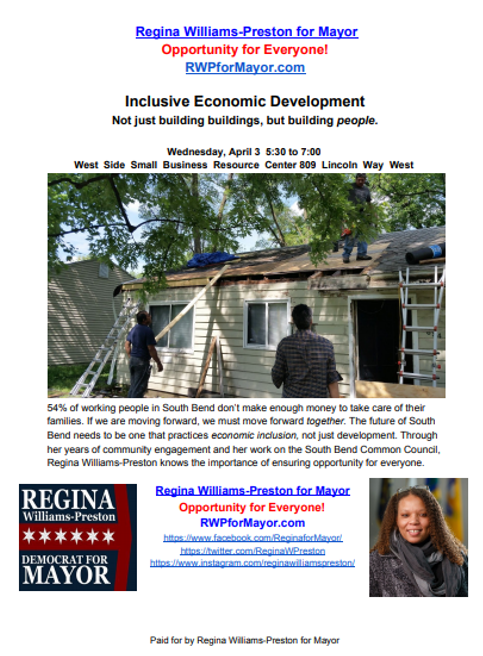 The West Side Small Business Resource Center is a non-endorsing group. The Center is available to all candidates interested in hosting events related to small business development. Where: CUC Business Development Center 809 Lincoln Way West, South Bend IN.